Manufactured with the highest quality materials and most exclusive design from worldwide travels. 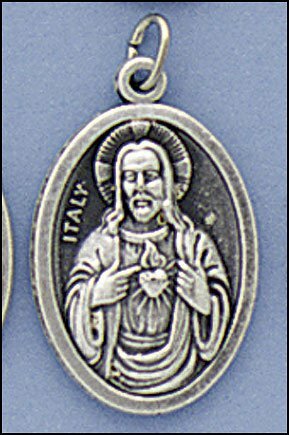 This medal is solid sterling silver, made in Italy with excellent workmanship. and comes with a 24 inch Surgical Steel Cable Chain for free as a starter. you may keep this chain if you decide you dont like the pendant for any reason. 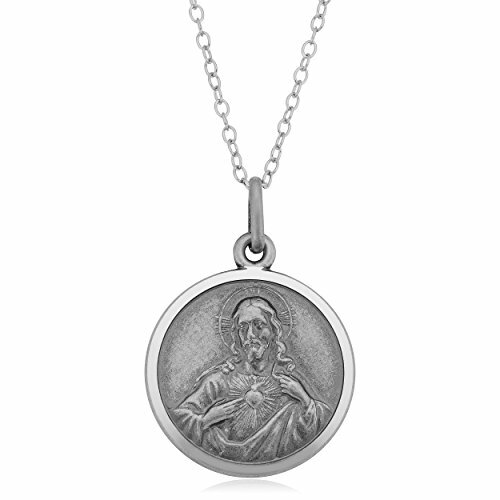 Cool, gleaming, and durable, sterling silver is a timeless classic. 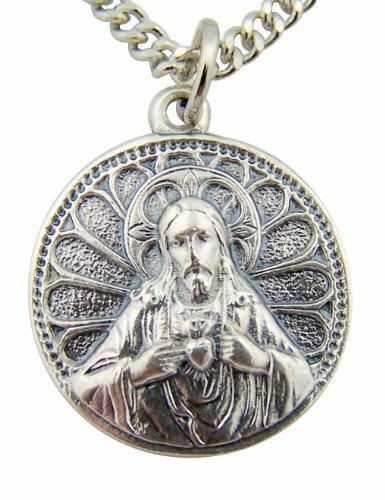 This beautifully crafted oxidized silver Sacred Heart of Jesus medal pendant showcases both beauty and craftsmanship art. Wear it for your everyday stylish look.Sterling Silver HistoryOriginating in Europe in the 12th century, sterling silver has been a source of value for everything from table settings to currency for centuries. Sterling silver is a soft metal, yet when combined with copper, produces a tough material that could be heavily relied on. Due to these qualities it is the perfect material to mold into intricate jewelry designs, giving a luxurious look at an affordable price.Sterling Silver CompositionSterling silver is created when combining pure silver with copper at a ratio of 92.5 percent silver to 7.5 percent copper to maintain its durability without harming its sparkle.Sterling Silver CareSilver should not come into contact with harsh household chemicals. To avoid scratches, store in a lined jewelry box or pouch, as it is prone to tarnish. Upon noticing any discoloration, use a gentle polishing cloth. This religious item was blessed by Pope Francis at the Vatican in Rome, Italy... Included is little card with the blessing, and a beautiful organza bag to keep your religious keepsake. 5 included for one low price! This exceptionally detailed, genuine die-cast medal is made in the region of Italy that produces the finest quality medals in the world. 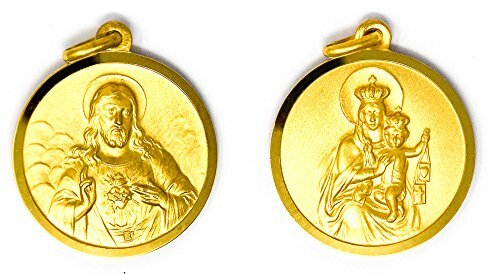 Complete with jump rings, these beautiful medals are ready to attach to any chain or rosary, or put in your pocket. 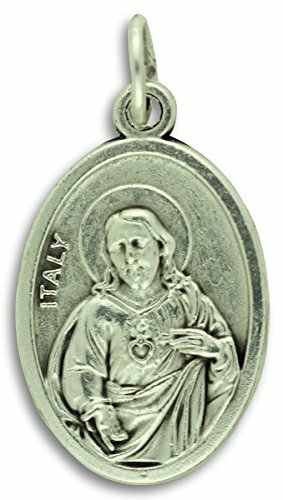 The silver oxidized finish is has been perfected for hundreds of years by the local Italian craftsmen, and remains unmatched in quality, beauty, and longevity -a genuine silver plating with a 3-dimensional depth, and long-lasting brilliance. Attached jump ring is included. The original of this beautiful cross came from France. 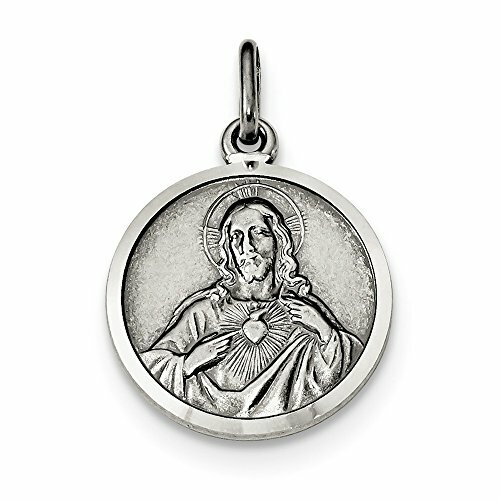 It features the Sacred Heart of Jesus surrounded by a radiant star. 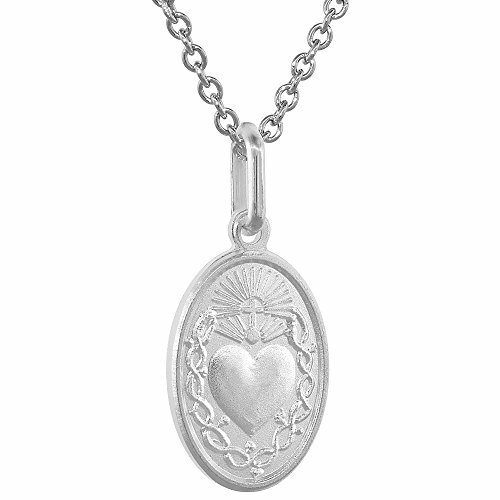 The reverse is in French and says "Sacred Heart of Jesus I Have Confidence in You - 100 Days Indulgence Pius X". 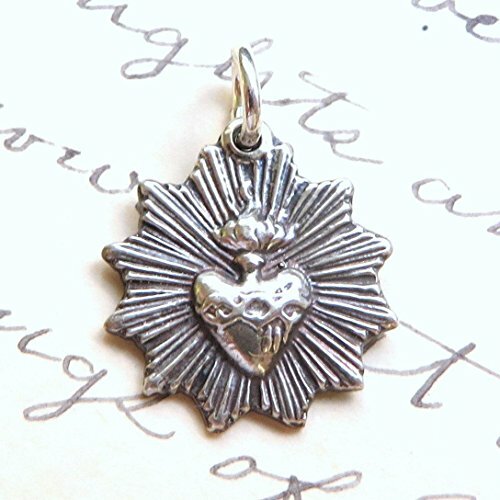 It is made of sterling silver and will come with a matching holy card in an organza gift bag, so it's ready to give as a present to someone else or yourself.Size: 5/8 inch excluding the bailMaterial: Sterling silver. Chains are also sterling silver. DIRECT FROM LOURDES Scapular Medal - Sacred Heart of Jesus & Our Lady of Mount Carmel + Prayer Card. 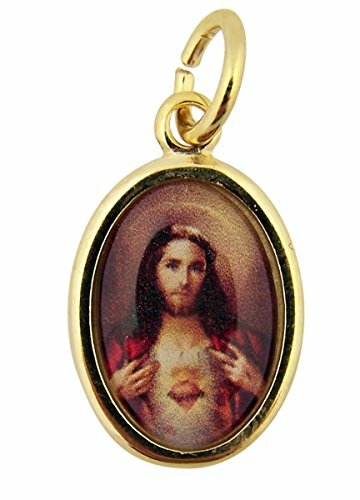 Scapular Medal 18 Carat Gold Plated - Sacred Heart of Jesus & Our Lady of Mount Carmel + Prayer Card.